Listed as one of the top podcasts in the Education and Learning section of iTunesU! Google is much more than a search engine. It is a suite of free software and services that can enhance learning, engage students, and make the work of teachers easier. This series of podcasts demonstrates the usefulness and applications for some of Google’s most innovative products including custom search engines, Google earth, iGoogle, Google Calendar and Google Docs. Each podcast will consist of a screencast demonstrating the product in action and suggesting applications for use in the classroom. 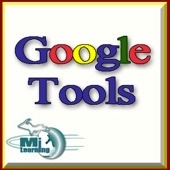 This series contains 47 short tutorials on everything from Google Earth, to Calendar, to Gmail. These same videos are also available on YouTube.